South Africa recently proposed to legalize the trade in captive-bred lion carcasses. The Department of Environmental Affairs (DEA) announced that it plans to allow up to 800 lion skeletons per year to be exported. Conservation groups, such as Panthera, immediately decried the move. The DEA claims that allowing lion bones to be traded legally will decrease hunting pressures on wild lions. If the body parts of lions killed in canned hunting operations are sold, so the thinking goes, then South Africa will be able to regulate the trade. But Panthera’s scientists are not convinced. As they point out, the DEA’s assertions have no grounding in science. 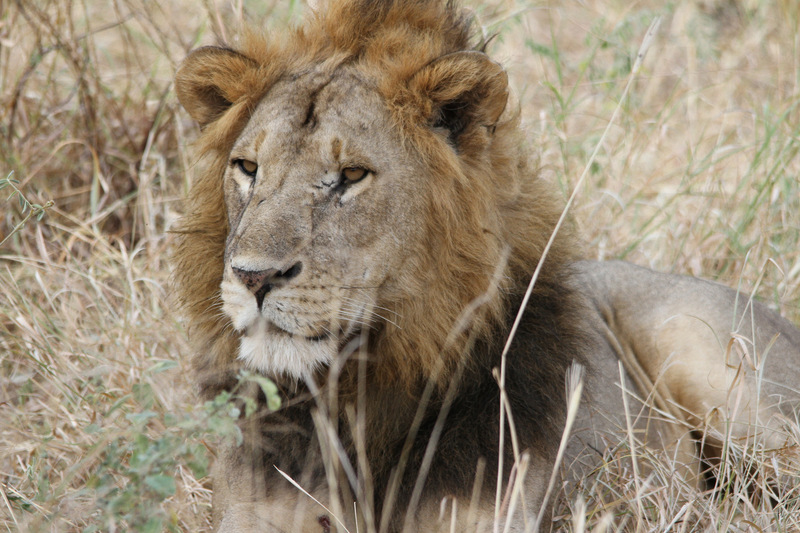 In fact, permitting the trade of captive-bred lion bones might lead to an increase in lion poaching. According to Traditional Asian Medicine (TAM), the body parts of certain animals have special properties. Consuming tiger parts, for example, is believed to cure everything from epilepsy to rheumatism (Goodrich et al., 2015; Panthera, 2015d). Since tigers have been decimated by this trade, poachers are now setting their sights on other big cats – such as jaguars and lions. Prior to 2007, lion parts were rarely harvested for use in TAM. But in that year South Africa legalized canned hunting, and the demand for lion products skyrocketed. According to this article by Eva Hershaw (2017), the amount of lion skeletons being exported increased by a factor of six. The trade in captive lion parts seems to be fueling wild lion poaching as well. A growing number of wild lion carcasses are turning up with body parts removed, suggesting that they are being harvested for the TAM trade (Hershaw, 2017; Panthera, 2017b). Panthera and other conservationists are worried that allowing 800 captive-bred lion skeletons to be exported will strengthen the demand for lion parts. This would be disastrous, because lion numbers are already declining rapidly. Panthera advocates for shutting down the canned hunting industry, because it is cruel and does not contribute to wild lion conservation. I think South Africa has lost its moral compass in various ways – and they don’t think things through before implementing them. That’s an excellent way to describe what’s going on. I hope they’ll listen to public outcry and think more clearly about this decision before they go through with it. We’re so ahead with medical improvements. We do people stick to traditional stuff when clearly we have better solutions these days. Why would they need lion bones. It’s okay to be pissed off, this is a very upsetting subject. The World Federation of Chinese Medicine Societies has even said that there are plenty of alternatives to tiger bones (I assume this applies to lions to), and that practitioners don’t need to use them. But the demand remains. Things need to change soon, before it’s too late. Its not just for TAM even, bones have been believed to have certain “qualities” even human corpses have turned up with body parts missing suggesting ritual killings, for charms wealth and who knows what else….. The problem is that when people run out of solutions they tend to be willing to try just about anything; the problem really has nothing to do with trade of bone, poaching or alternative medicine but deeper underlying socio-economic… I have seen the dodgiest of characters selling the weirdest of things and the strangest thing is not even that but that people actually flock to buy……., …… especially if it wont cost much, at least not in terms of actual money from one’s pocket, its shocking how you can flip through classified section of a newspaper and find an advert for get rich quick charms, finding lost/stolen items, love portions, sexual prowess enhancing artefacts, made from bizarre ingredients; who cares about any other prices involved…., there is always a price and the bill comes back to us eventually…. The idea of legalizing bone trade has its merits though, you know the way forbidden tastes better…. outright outlawing just makes it appealing, and as long as someone is willing to pay for it someone will be willing to kill for it…. One can argue that, its a trade that wont go away and so might as well as regularise it and make money while at it, money that can be used to ensure the safety of the remaining untamed wildness….. I could also point out that, prior to 2006 no official observation was keeping any detailed reports on TAM activities, and as for private operators well, the way no one keeps records of illegal activities that’s just keeping incriminating evidence and most available records from national parks have it all bunched up as poaching,… so after legalizing you get more people crawling out of the woodwork and it seems like demand has shot up but its not quite the full picture……. Based on your information it sounds like there’s a lot more than TAM that’s driving the demand for lion products, correct? I can certainly see how desperation would lead people to try all sorts of solutions, and I wouldn’t be surprised if there are other things going on besides the TAM trade. But TAM is likely a factor. We know that an increasing amount of cat species are being used for that purpose, such as lions. I’m familiar with the logic as to why the trade in endangered animal parts should be legalized. But I’m not convinced. When it was legal to trade the skins of spotted cats, for instance, they were hunted like crazy. When that trade was outlawed, the hunting pressure on cats like jaguars went down considerably. So in some cases banning an activity can help. If lion bones become more accessible through a legal trade, then more people might want to use lion bone products; increasing the demand for them. This could lead to more poaching of lions, and it would be difficult to distinguish legally harvested lion parts from illegally obtained ones. This would lead to an enforcement nightmare, as regulators would have a hard time telling which bones came from domestic lions vs wild ones. And yes, lion parts were probably being used in TAM before 2006. But the phenomenon of lion carcasses turning up with key body parts missing seems to be new. In Namibia, for example, this didn’t happen during a poaching spree in 2014. But in 2016 it did. This suggests an increase in the demand for those parts. Check out the Panthera article I linked to above, they explain why they think the trade in lion products is growing. Lastly, I am not in favor of any move that gives canned hunting operators another way to make money. The prospect of raising lions in captivity, getting them used to people, and then having some rich American shoot them while they’re in a cage is disgusting. That whole business needs to be shut down; it should not be encouraged by allowing captive lion skeletons to be exported. While small for the time being I suspect that this could be the thin edge of the wedge for normalizing the turning of big cats into consumable commodities and I wouldn’t at all be surprised if China was leaning on South Africa a fair bit as there are elements in the Chinese government hoping to one day legalize a trade in wild tiger parts. Needless to say I think this move has as much to do with tiger conservation and the protections around tigers as it does lions and tiger-range countries should all take note and make their objections known ( India and Russia likely have the best chance ). Normalizing a trade in lion bone will provide cover for a trade illegally poached lions and tigers ( their bones are nearly indistinguishable ), as much as I despise canned hunting that would be substantially less harmful to wild populations then an opening in a trade in lion-bones. Part of the problem with farmed lions/tigers/bears is that this will always frustrate anti-poaching efforts and increase demand for the wild animal parts as the products of the farmed animals reach a wider audience and become normalized leaving the wild as the ‘elite’ product, see wild vs farmed salmon. I greatly appreciate your insightful comment; it’s helpful for me to hear about this issue from someone who clearly knows more about it than I do. It seems like the demand for tiger bones has far-reaching consequences for other felids as well. I also hadn’t previously considered how the legalization of farmed animal products might cause the wild ones to be viewed as “elite.” So thank you for bringing that to my attention.